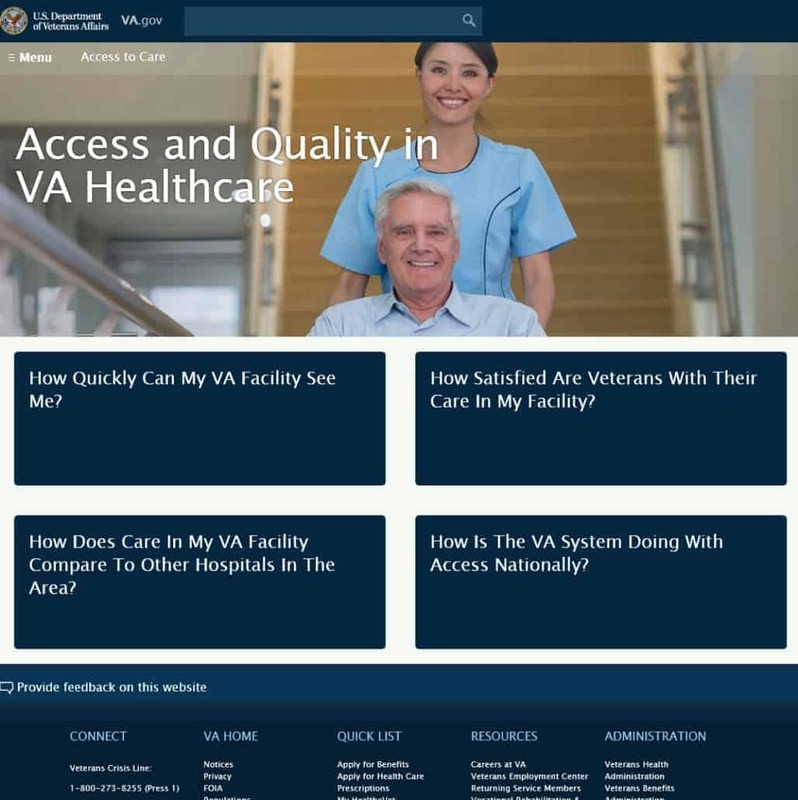 Click on this area to determine how quickly you can be seen at a particular VA clinic and to explore same-day services and other healthcare options. You can then access a map which allows you to input your address/location, radius you are able to travel for care, clinic type (i.e. primary care, women’s health, etc.) and visit type. You can then conduct a search to see appointment wait times at facilities within your search radius. If you have an urgent need, you can use the Same Day Health Services map to explore options. How Satisfied Are Veterans with Their Care in My Facility? This function allows you to search VA facilities within a certain radius to see what other veterans are saying about access to care. How Does Care in My VA Facility Compare to Other Hospital in the Area? This section allows you to compare VA facilities with hospitals located within the same general geographical area. Review the latest statistics on how timely care is within the VA system and how quickly a patient can be seen by a specialist in the VA system. Accessibility Services, Inc. is proud to work with the VA to provide qualifying veteran’s – both at home and in VA spinal cord injury units – with the autonoME environmental control unit/speech generating device. Robert Oxford is just one of the hundreds of veterans who have benefited from receiving the autonoME through the VA. Watch his story.